WHO: Teachers looking for a fun and fair way to let students pick topics at random for class work. HOW: Visit http://wheeldecide.com/, click to modify the wheel, add topics, give the wheel a title, and pick advanced options. Choices can removed after they have been landed on, color scheme can be changed, seconds to spin, and more. WHEN: Wheel Decide is great to have student pick topics for presentations and projects. Teachers could also use it to pick topics for review games in class. Another option would be to randomly call on students during class time. Wheel Decide is also very useful to studying vocabulary or even assigning teams. After creating a wheel, teachers can copy the embed code to their classroom LMS or website. Below is a wheel for countries involved in World War II. WHO: Teachers looking for an easy way to make digital assessments utilizing Google Apps for Education. If you have used the Flubaroo Add-on in the past, you will enjoy how easy it is to assess student responses using Google Forms now! “General” which contains selections regarding restrictions, collecting username, number of responses, editing responses, and viewing summary of responses. “Presentation” which includes Progress Bar, Question Order, Link for Another Response, and Confirmation Message. “Quizzes” which allows the creator to make the form a quiz, select when grade is released, and what the respondents can see such as correct answers, missed questions, and point values. After selecting to make the form a quiz, the user can now add an answer key and point value to Multiple Choice, Check All That Apply, and Dropdown style questions. Simply click the answer key button at the bottom of the new question and there will now be an area to select point value, and also click on the correct answers to create the key (image below). After creating the key, the teacher can also add an option for answer feedback, both for correct and incorrect answers, including links (image below). Once the responses to the quiz start coming in, the teacher is given great data. Insights include Mean, Median, and Range of points, a bar graph with total point distribution, frequently missed questions, and graphs for the responses of each question. By clicking over to the “Individual” tab under responses, the teacher can see each students quiz individually. WHEN: Using Google Forms Quiz selection is great for quizzes, but it could also be used for formative assessment or as an exit ticket. You can even go back and change old forms from before, click on settings, and turn it into a quiz. WHO: K-12 Teachers looking to share their lessons and resources with others, as well as teachers that are looking for lessons to use in their classroom. 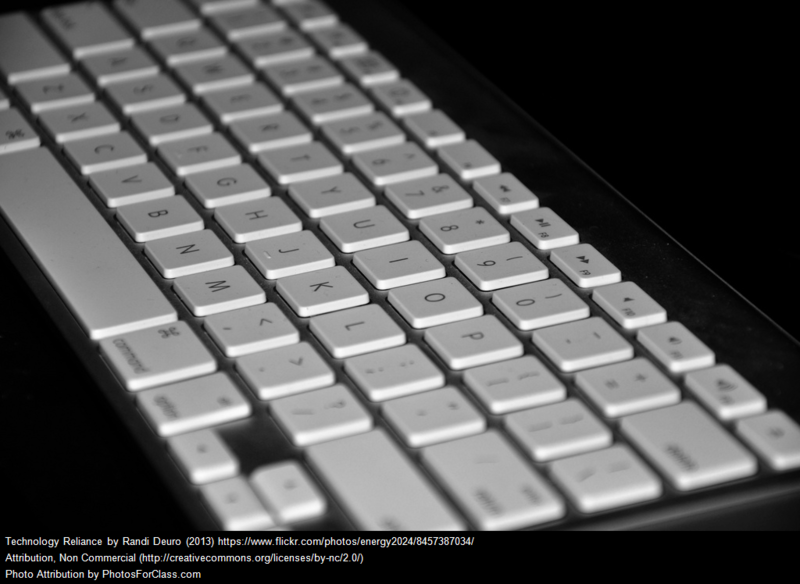 HOW: Teachers need to create an account in order to use ShareMyLesson. After logging in, users can upload lessons, including tagging standards, adding attachments and links, and descriptions. Teachers looking for lesson ideas, can search by state standards, grade level, topic area and more. WHEN: During the summer months, teachers can use ShareMyLesson to either upload their lessons to have in one area, or start looking at what other teachers are doing to enhance their own. ShareMyLesson is great as it allows teachers from anywhere to share ideas with others. WHO: Teachers looking for an easier way to make gameshow style review games in the classroom. HOW: Sign up for an account at http://flipquiz.me/, then either start creating your own board, or search for the topic you are covering. After creating an account, the user can choose between the free version or the paid version. Upgrading allows the user to copy other boards, have the game keep score (must do this manually with free account), upload images, create flashcards for students, and more. WHEN: FlipQuiz is a great option for weekly/semesterly review. Students enjoy playing gameshows, working in teams, and competing with each other. FlipQuiz makes this process much easier, and is saved online for future use. WHO: Teachers that would like students to work together on brainstorming and/or creation using whiteboard space online. HOW: Create an account on https://www.notebookcast.com, create a whiteboard, and share with collaborators using a unique code for each board. Simple tools available such as shapes, lines, text, image insert, board capture, erase, etc. NotebookCast is designed to also be used on tablets along with full size computers. When creating a board, the owner sets the dimensions, which include portrait and landscape mode on iPads. WHEN: NotebookCast is great for brainstorming projects, students creating lessons, or allowing students to demonstrate mastery of content. Original post regarding Quizizz was created on February 3, 2016. View it here. WHO: Teachers that are looking to move away from worksheets and paper based exit tickets. HOW: Sign up for an account on Quizizz and get started! WHEN: Quizizz is great for formative assessment, engaging closure to lessons, or even as homework. WHO: Teachers looking to engage students with classroom content in an interactive and engaging atmosphere. 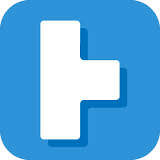 HOW: Create an account at http://www.triventy.com/, create a quiz, and play with students. While making a quiz, the teacher can add a quiz image as well as individual question images. Teachers also have options for how long each question is given (5-60 seconds), making the quiz public, posting top 3 players during game, and sharing via social media after quiz completion. When making questions, teachers can invite others to create the quiz with them (great for student collaboration), and enter hints and “Did you know…” facts. Teachers can also make a question a “survey question” for in class polling. WHEN: Triventy is a good option to end class for the day or week. Students will be engaged during the quiz and enjoy competing against their classmates. The downside to Triventy is that it does not collect quiz results for the teacher to use later. This could be a great formative assessment tool if this feature were added. It is not the perfect tool for class, but it is a fun change of pace. WHO: Teachers looking for digital classroom management along with a great tool for creating seating charts. HOW: Teachers create an account, set up their classes, and get started. Teachers can manually create seating charts, or allow Class Charts to randomize. After putting in the students and setting up the seating chart, the teacher selects to “start class”. While the class is in sessoin, the teacher has many options. They can rearrange the seating chart, toggle the view (hide points by names if screen is being projected), and select positive/negative feedback for behaviors. 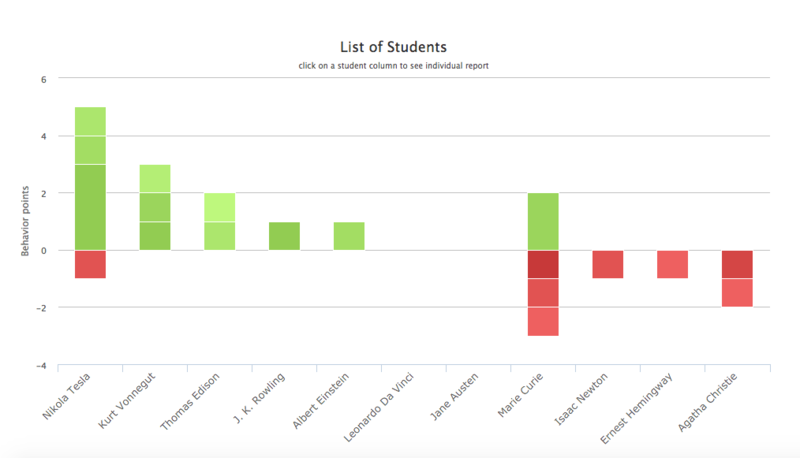 Class Charts also helps to track attendence, as well as analytics for classroom behavior. Individualized reports are great for Parent-Teacher conferences. WHEN: This tool is great for classroom management.